Milich is Marketing Director - Soccer Operations for the firm. During the spring-summer soccer season, he occupies the position of Director of Marketing for the Newark Ironbound Express of the USL Premier Development League, a management client of the firm. 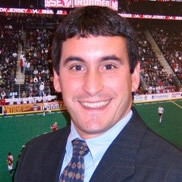 A graduate of the University of Rhode Island with a BA in Political Science, Milich serves as Ticket Sales Manager for the New Jersey Ironmen of the professional Extreme Soccer League (XSL) that plays its home games at The Prudential Center in Newark, New Jersey. He came to the Ironmen with over 18 years of mortgage and banking experience. As a sales and operations executive, Milich helped build the Northeast Region for three Top 10 mortgage companies in the United States. Over the past 10 years, Milich has coached soccer at the youth recreation level for the Borough of Oakland and club level for Ramapo Youth Soccer Association (RYSA). He is currently on the Board of Directors for RYSA. Milich also served on the Oakland Recreation Commission for four years 2000-2004. Milich resides in Oakland, New Jersey, with his wife Dawn and two children. 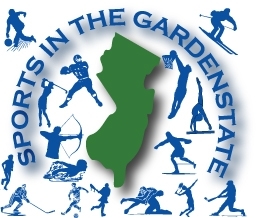 He is also holds a Recreation Supervisor license through New Jersey Division of Community Affairs.